King County Metro Transit provides free bus and light rail travel training to over 500 would-be riders a year. It’s the job of transit instruction staff to assist people in getting where they need to go. Each person comes with their unique story. “We adapt and help them take that leap of faith. They trust us and we honor that,” said Amanda Bryant Supervisor of Metro Transit Instruction. A success story from 2011 shows first-hand the independence riders gain through the Transit Instruction program. 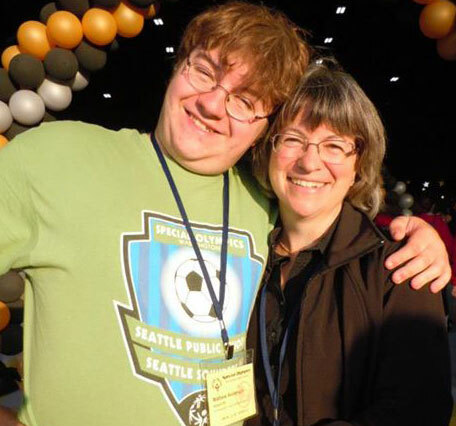 Janet Anderson knew Ballard High School was just a bus ride away for her son, Matthew Anderson, but as a teen with high-functioning autism, she also knew he needed a helping hand so he could gain more independence. After hearing about a Metro Transit program that helps individuals with disabilities learn how to use public transportation, Janet saw a path for Matthew. The two soon met with an instructor to learn about Matthew’s skills and what bus routes he could take to school. With a signed pledge that he would be “ready to go” when the trainer arrived each day, Matthew started learning the ropes of taking the bus. Over the course of several days, Kay gave Matthew more responsibility and let him maneuver the bus system on his own as she stood watch. One rainy morning she called to report that Matthew had been so distracted with his faulty umbrella that she thought they would miss the stop for Ballard High School. Still, somehow, Matthew intuitively knew to get off at the right place despite being totally absorbed in fixing the umbrella. Learn more about travel training. We invite you to share your travel training success stories by commenting on this post!